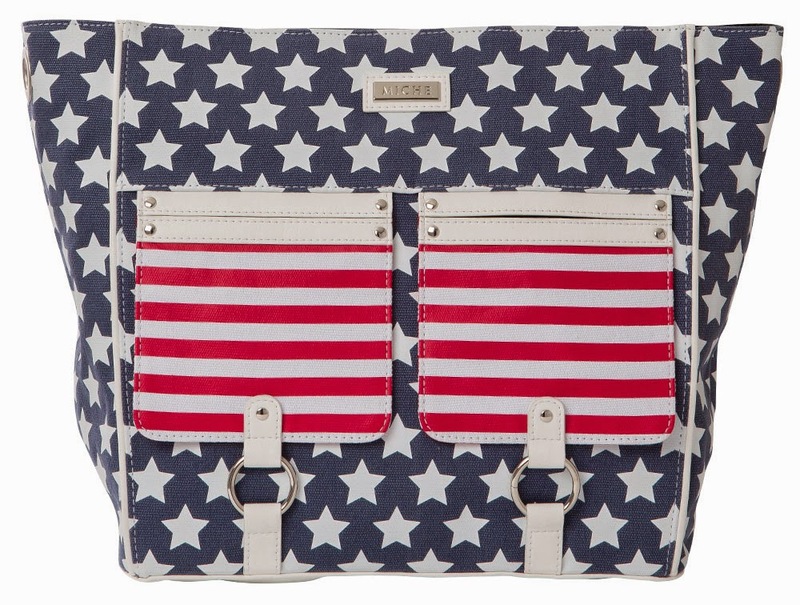 Carry the spirit of America on your arm with the Betsy for Demi Miche bags. Navy canvas with a white star print is complemented by two flat front pockets featuring red and white stripes. White banding accents and rivet detailing add flair to this patriotic look. Rectangle bottom; silver hardware.